The team at SERVPRO of Rocky Hill / Sequoyah Hills / South Knoxville is always ready to respond to the damage strong winds and heavy precipitation cause to homes and commercial properties. Residents and businesses in our service area can expect a swift response, within four hours of your call. Board up and tarping services are crucial to avoid additional damage from the elements, and our crew completes this task fast. Experienced project managers or crew chiefs assess the damage, devising a comprehensive remediation plan. Our service vehicles stock truck mounted water extractors and gas-powered pumps, able to begin water removal even if the power is temporarily out. Drying equipment is also onboard, permitting seamless task transition after the majority of the water is evacuated. We also take our skills on the road when needed as part of SERVPRO’s Disaster Recovery Team (DRT), traveling to over 15 disasters and 3 hurricane sites in recent years. Communities and states assisted include Houston, Chicago, New York, Florida, North Carolina, and Louisiana. Why Choose SERVPRO of Rocky Hill / Sequoyah Hills / South Knoxville? When a major storm hits, it may overwhelm local restoration companies. SERVPRO of Rocky Hill / Sequoyah Hills / South Knoxville can scale our resources by accessing the equipment and personnel of 1,700 Franchises. We can also access Disaster Recovery Teams that specialize in major storms and catastrophic events. We live and work in this community too; we might even be neighbors. 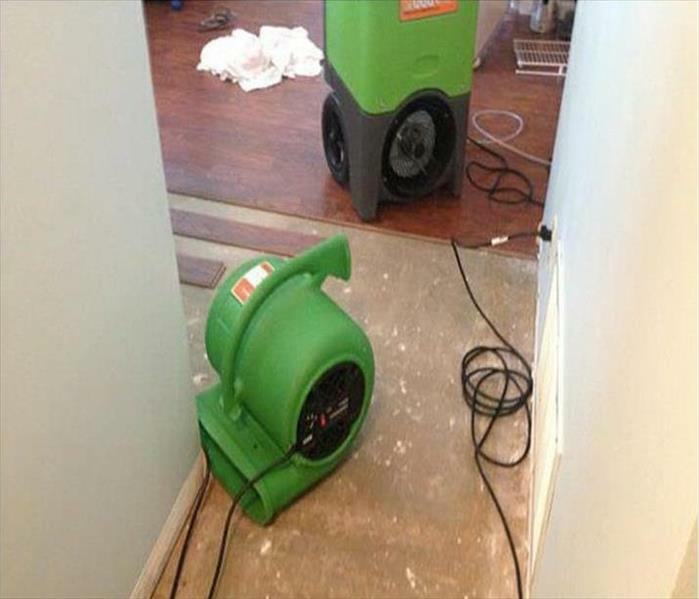 As a locally owned and operated business, SERVPRO of Rocky Hill / Sequoyah Hills / South Knoxville is close by and ready to respond to your flood or storm damage emergency. We are proud to be an active member of the Knoxville community and want to do our part to make our community the best it can be.